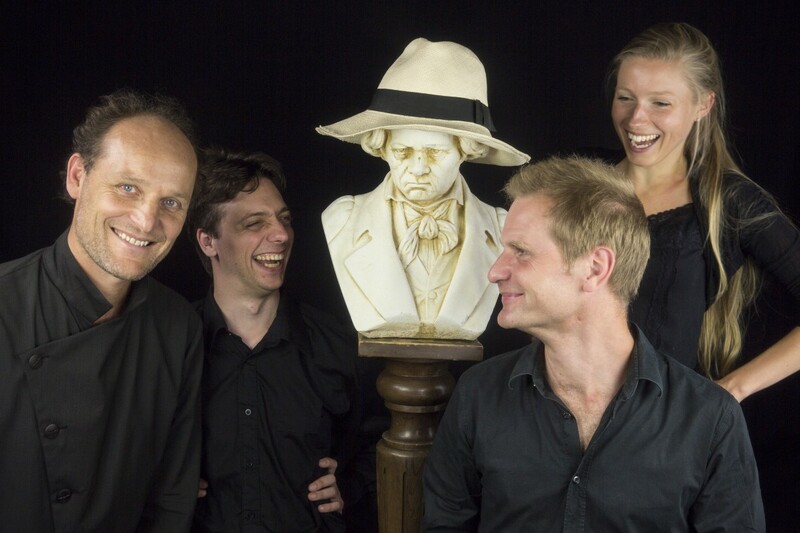 …consists of four experienced musicians who each have an established reputation in the chamber music world. 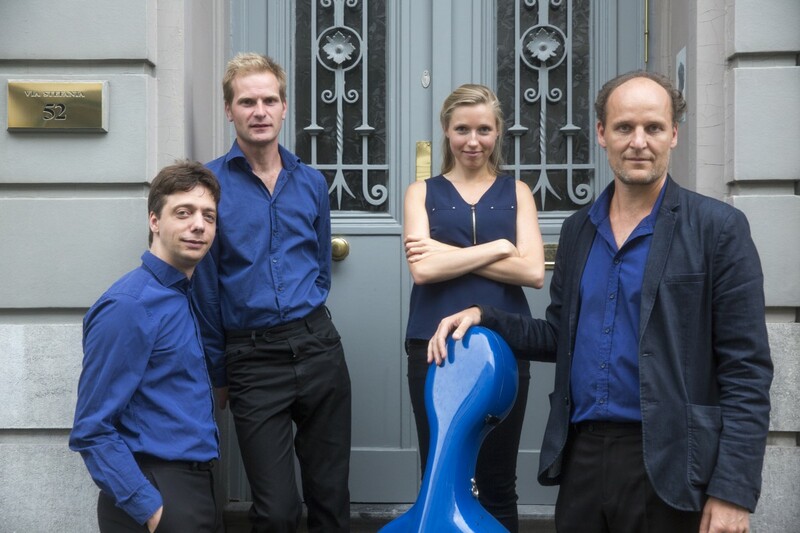 The love for the quartet repertoire, the joy of digging deep into these masterpieces together and the search for harmony, electricity and a unique sound in their quartet playing, are the driving forces behind the Taurus Quartet. 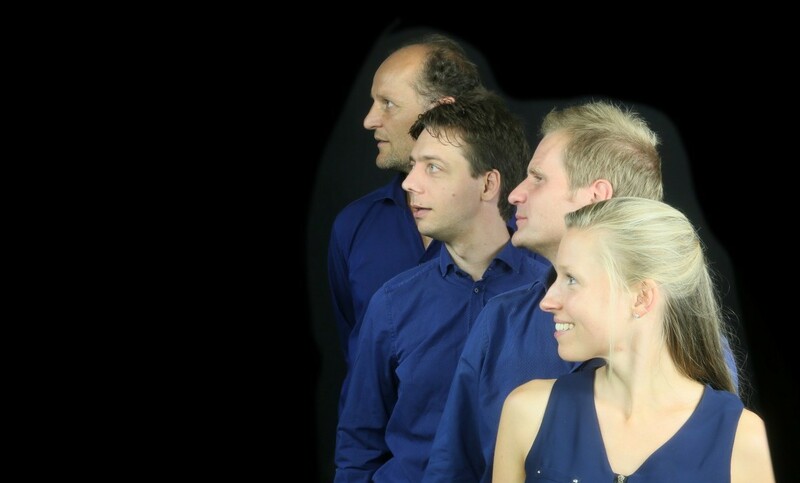 Taurus Quartet has completed its first CD project! 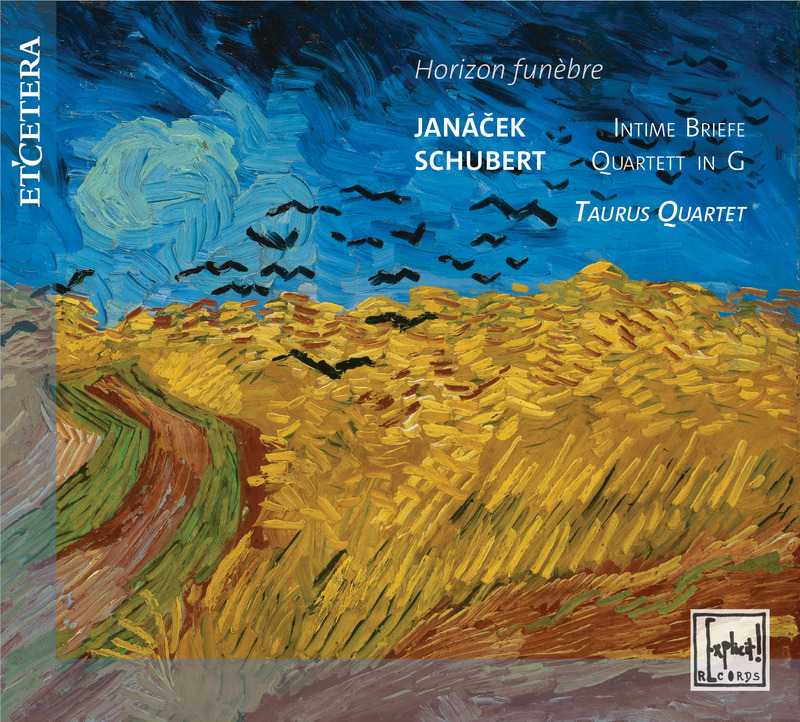 A musical diptych with works by Schubert and Janáček, with the overarching theme ‘the approaching death’: Horizon funèbre. 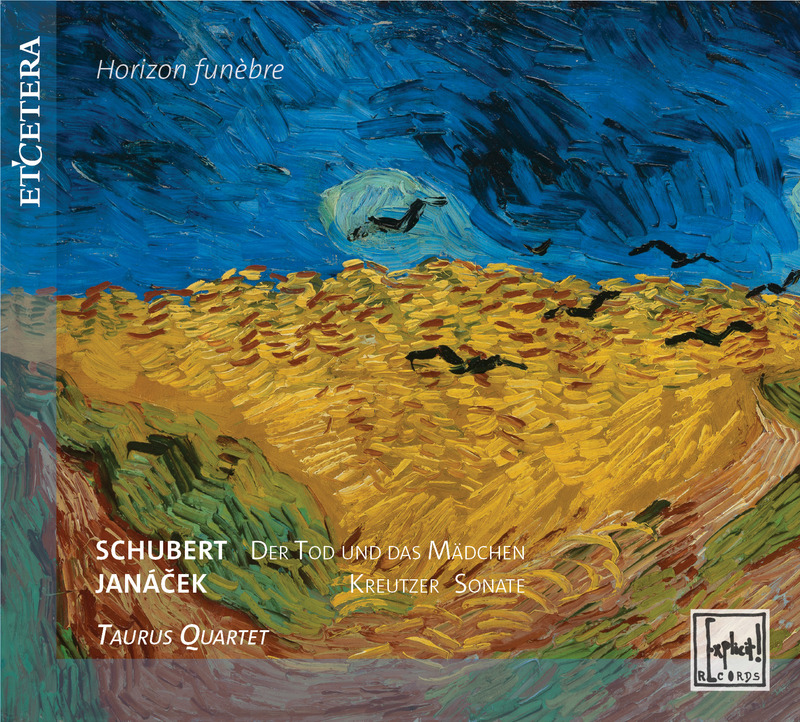 The full picture of the painting ‘Wheatfield with Crows’, the Horizon funèbre of Van Gogh, will be created by our two CDs! You can buy those CDs in the shops and you will find these recordings as well on Spotify, Apple Music, iTunes, Qobuz and Youtube. The two works recorded here have many striking similarities, despite having been composed more than a century apart: both works are programmatic in character and have a direct link with literary works in which death is omnipresent. The inspiration that both composers drew from these texts makes the imaginative and narrative power of the music highly tangible. Both works provide a direct expression of the extreme emotions that death summons up: grief, pain, despair and madness. The continuous and palpable tension between the cruelty of death and the fragility of life is fundamental to the 14th quartet of Schubert, ‘Death and the Maiden’. The young girl resists death and pleads with him to leave. Death, however, tries to seduce her and to convince her that she will find rest with him. This ambiguity of death, simultaneously scarifying and consoling, is what makes the piece so gripping. Janáček based his first string quartet on a short story by Tolstoy, which ends with a terrible murder. Every metaphor and emotion of Tolstoys story is woven into a coherent musical narration. We hear tenderness, madness, despair, aggression, euphoria, and finally the rattling of the speeding train on which the greater part of Tolstoy’s story has taken place. The clattering rhythm of the train is the same as the crazed tarantella in Schubert’s quartet: in both pieces, the finale hurtles to its conclusion in a lunatic dance of death. The combination of these two works on one CD is unique in the field. Despite the fact that there is almost a century between these two compositions, there are some striking similarities. They are final string quartets, written just before the death of these composers; reflecting on life and celebrating it, both with their own unique expression and both overwhelming in their extremes. 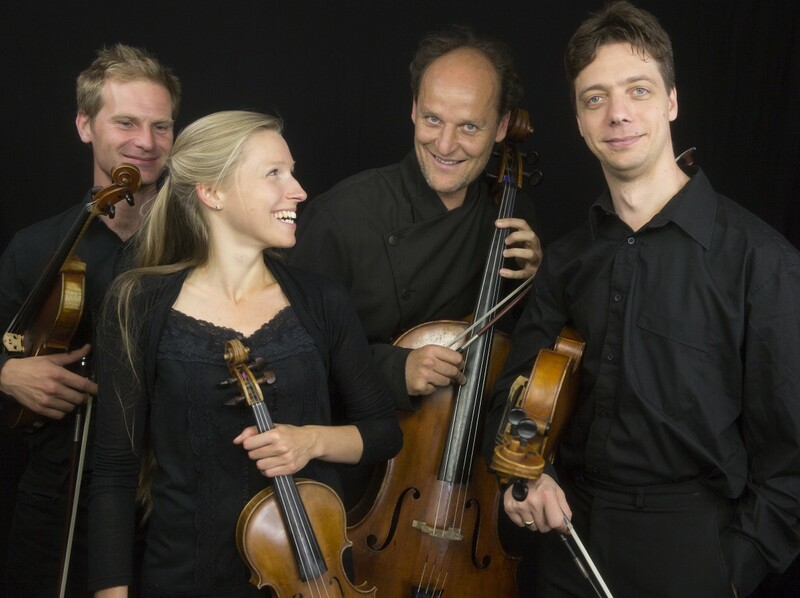 Schubert’s last string quartet is a magnum opus, a work in which he describes the greatness of life in all its dimensions, by using unprecedented sound effects and dynamic extremes. The first movement has the rhythm as a motor, the heartbeat of the music. 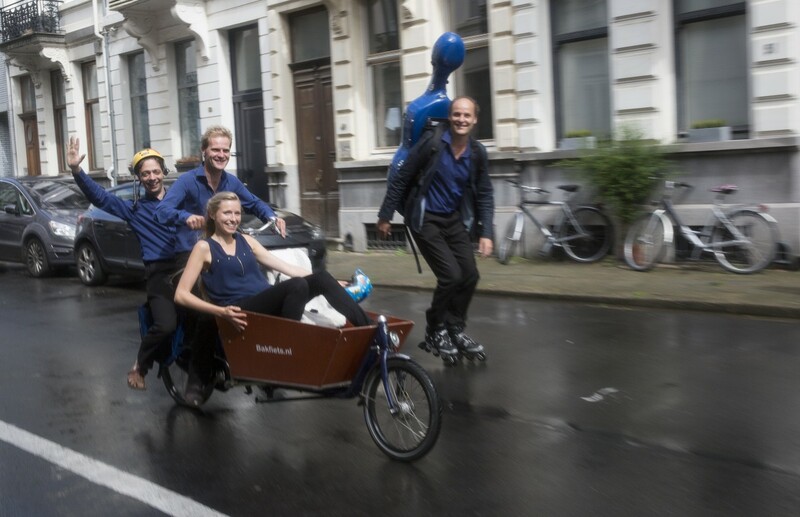 The following movement combines the most tender singing with fierce and wild outbursts. A nervousness in the scherzo with a flashback to a touching, naive and child-like tune in the trio. And a wonderful finale, in which sadness and euforia go hand in hand at any time. In his dying years Janáček wrote a musical reflection on the 600 letters written to his great platonic love, the 38 years younger Kamila. The extremes that resound here are overwhelming… the pain, sadness and anger, but also pure love, tenderness and ecstasy have perhaps never been so humanly and directly expressed as in this work.